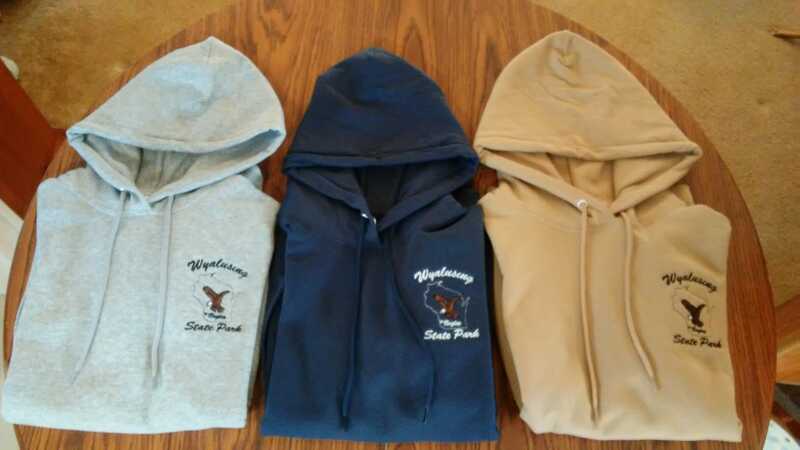 Get the new Wyalusing State Parks sweatshirt hoodies now. Three colors. 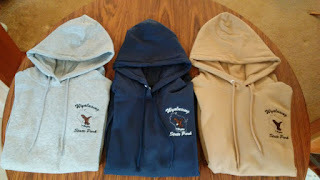 Contact pameladressler0625@gmail.com or call (608) 412-3534 for placing orders. October marks the end of the year and the start of the new year here at the Friends of Wyalusing. 2018 started the second century of the park. The Friends of Wyalusing State Park continued their assistance to the Department of Natural Resources in offering park visitors a quality experience. In May, volunteers beautified the park entrance with native flower plantings with the help of funding from the Friends of Wisconsin State Parks Trees and Flowers Grant. We helped the park staff install new informational kiosks throughout the park with matching funds from the DNR Stewardship Grant program. We are in the process of helping the park staff replace campfire rings throughout the park by providing matching funding through the parks improvement program. With the help of the Friends of Wisconsin State Parks Incentive grant, we again provided for a summer naturalist position at Wyalusing. Hope Schier was hired for the summer. Hope did a wonderful job providing programs and hikes for visitors. We look forward to continuing and possibly expanding this program in the future. We continue to operate the concession stand within the park. Manager Pam Dressler did a great job this year with lots of new items, ideas, and improvements. We thank her and all the dedicated staff for their efforts. We also provided some special events for visitors. In June we had a fun run/walk that was well attended. In August it was Smokey’s Birthday Bash, always a hit with the little ones. We are gearing up for the Harvest Festival on September 29th to close out our year. Stop by if you can. We would love to see you. The page will officially turn on October 1, 2018, at our annual general meeting and elections. We encourage any members to join us as we start a new adventure for 2019. The general meeting will begin at 5:00 PM and include the election of officers and board members for the new year. We encourage anyone interested in becoming more involved to contact any board member. As of this time, all current officers and board members have indicated that they wish to continue into 2019. We have no other candidates so all elections will be unopposed but there is still time to get on the ballot or as a write-in at the time of the election. After the General meeting, the 2018 board will meet to close out 2018 and start the planning for 2019. We have big plans for the future. When the current Visitor Center was built there was an option for a meeting/display room. That did not happen then at Wyalusing due to funding. We hope to correct that in the future if we can find funding. We will continue to support interpretive displays, programming, and events within the park. 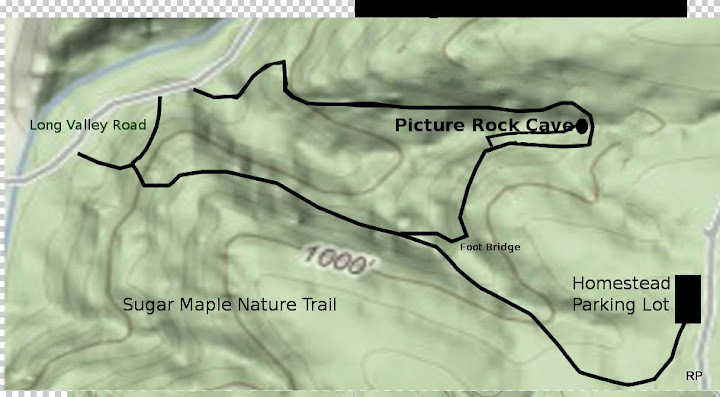 In order to accomplish these goals, the Friends of Wyalusing State Park needs your help. Our funding ability has been outpaced by the needs of the park. We thank you for your continued membership and ask that you consider additional financial support. Donations of any size are greatly appreciated. If you can spare a few dollars to help us, we will utilize that as best we can and within our group’s mission. Often through matching funds to multiply your impact. 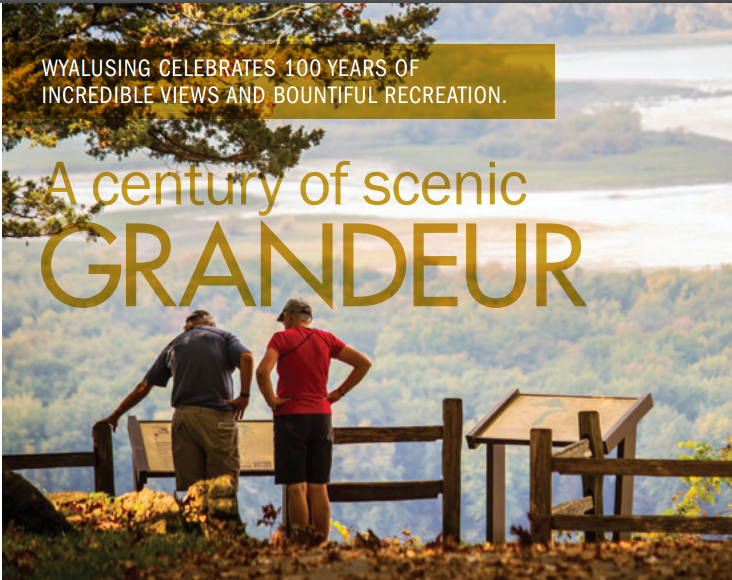 You may also wish to consider a legacy donation by including the Friends of Wyalusing State Park in your estate planning. Thus, ensuring your values will live on. The Friends of Wyalusing Inc. is a registered charitable organization. You may donate directly to the organization or contribute to the Friends of Wyalusing State Park endowment fund managed by the Wisconsin Natural Resources Foundation. In conclusion, it has been a good year for the Friends of Wyalusing State Park. I am thankful to volunteer to such a worthwhile cause. I thank you for your past support, hope for your continued support and look forward to an even better 2019.